Parents are always concerned about the brain development, smartness and intelligence of their babies. The first three years of a child’s life are critical for his brain development. The brain of a child is rapidly growing in an early stage of childhood and it really requires supporting diet and food to encourage the functioning of mind properly and gray cells. The child tend to react to the surroundings and different situation and try to grab best in the minimum time in the early stages. 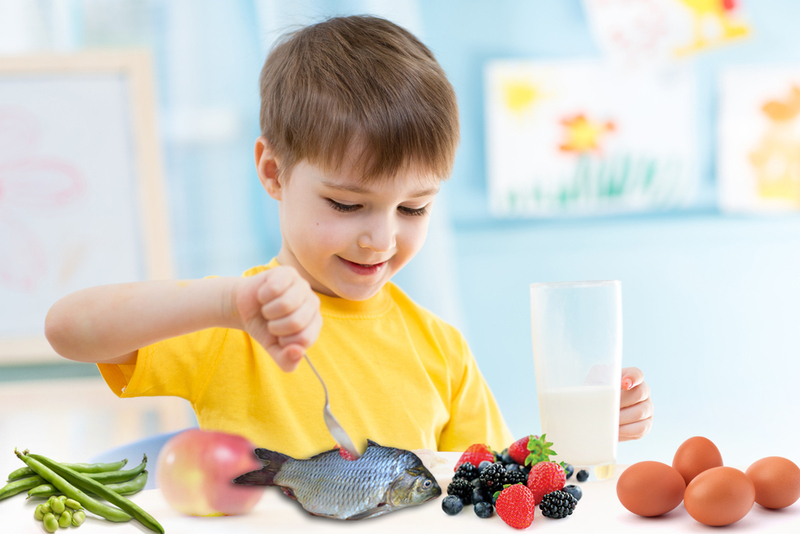 So, its important for us to incorporate proper foods in child’s diet enrich his brain development process. We have listed few foods that help kids to stay sharp and affect their brains development better. Let’s see top brain foods for your baby. Fatty fishes like salmon, tuna and mackerel contain omega 3 fatty acids, which provide the building blocks of the brain tissue. Omega 3 fatty acids aid the growth and function of the brain in babies. A regular consumption of fishes will improve your child’s mental skills. The protein and nutrients in eggs not only provide necessary calcium and energy but also help kids to concentrate and improve their brain power. It contains nutrients like omega 3 fatty acids, zinc, lutein and choline, which enhance concentration. Avocados is a buttery fruit-vegetable, rich in healthy unsaturated fats that help boost brain development. In fact, the fat composition of avocados is somewhat similar to that of breast milk. Blueberries are bursting with antioxidants. The deep, brilliant blue of these berries comes from flavonoids that benefit your baby’s eyes, brain, and even urinary tract. Fat is important to brain health and yogurts can help keep brain cells in good form for sending and receiving information. Whole grains improve concentration in babies by providing their brain a constant supply of energy. It has a low glycemic index and slowly releases glucose into the bloodstream, keeping your child alert throughout the day. It also contains folate, which is essential for the proper functioning of the brain. Oats are one of the most familiar hot cereals for kids and a very nutritious grain for the brain. Oats provide excellent energy or fuel for the brain that kids need first thing in the morning. Peanuts and peanut butter are a good source of vitamin E, a potent antioxidant that protects the nerve membrane. Apples and plums are lunchbox-friendly and contain quercetin, an antioxidant that may fight the decline in mental skills.